Sometimes tragedies occur that threaten the life, health, or welfare of communities and regions. At the time of crisis, those communities and especially the children need to rely on help from people willing to share their time, expertise, money, and caring. Aid Africa’s Children is deeply committed to helping impoverished African communities offering emergency medical care, food programs, access to clean water, HIV/AIDS education, mosquitos nets and medication to prevent malaria. A large part of Aid Africa’s Children’s commitment to making a difference in Africa is using our volunteer’s medical expertise to improve and positively impact the health of the villagers. First, we assess and research the most common diseases and health issues of communities we visit. This helps determine what are the best medical treatments, medications, and educational tools that we can offer. Our mission trips include preventative measures like HIV/AIDS education and countermeasures to malaria with treated mosquito nets and antimalarials (malaria medication). Since Africa has such a high infant mortality rate, we teach the American Academy of Pediatrics Association’s “Helping Babies Breathe” program. It is an easily taught neonatal resuscitation procedure designed for limited resource countries. By educating others how to prevent or deal with their most pressing medical issues, we are offering hope and solutions to improve the overall health of a community. "Do white people get AIDS?” We were asked this question on a medical mission trip to Africa. It is one of the reasons why we have taught AIDS education in Africa to dispel the myths and help reduce the stigma of the victims of AIDS. In Africa, once you have AIDS you are shunned and your children are ostracized as well. Employment is near impossible. Aid Africa’s Children is addressing some of these issues by helping the growing number of AIDS orphans in Africa, and create entrepreneurship opportunities for the Sisonske AIDS support group in Lethabong, Africa. Starvation and malnutrition are a continuing crisis throughout Africa. There are many different reasons we have been moved and compelled to help children who are hungry. In conjunction with our education program, Aid Africa’s children helped supplement a food program at Sjambok School for over 900 students. The World Health Organization’s reported in 2015, “an estimated 90% of all malaria deaths, mostly children under five occur in Africa." Aid Africa’s Children travelled by plane, bus, ferry, taxi, and donkey to bring 350 malaria nets to the remote Kome Island in Tanzania. Learn more about Aid Africa’s Children efforts to fight malaria on their travels to Tanzania, Africa’s Malaria belt. Very often things that we take for granted in the modern world are sadly not available to many remote regions in Africa. At Aid Africa’s Children, we work with community leaders to develop education programs that bring practical skills one can apply to real life situations. Teaching new skills can have a profound effect and make a difference. With “Helping Babies Breathe,” a neonatal resuscitation procedure, we teach village midwives, medical staffs, nurses and doctors the steps to do this medical intervention that can reduce infant mortality. Baxter, International generously donated the computers that were used to open the Sjambok School computer lab. It is the first computer lab in the area open to public school students, teachers, and school staff. Plus, it has also created computer access for locals the surrounding villages. By learning to use computers, children and the community are being taught new skills, and creating opportunities that never existed before. Many African infants in rural areas do not have the benefit of how a simple medical intervention can save a newborn’s life within the first minute of their life. The American Academy of Pediatrics, “Helping Babies Breathe” training can be easily taught in resource limited areas. Statistics show it can reduce early neonatal mortality by 47%. Aid Africa’s Children teaches the "Helping Babies Breathe" program to train village midwives, nurses, and medical staff, to help newborns through the “golden minute” of their lives. Most of us take for granted the benefits of modern technology. For African children who have never seen a computer, simple computer skill training can change their lives dramatically. Job opportunities previously unattainable are achievable. Primary public school students now are able to have computer training once reserved for only private school students. Volunteers from Aid Africa’s Children have personally witnessed the curiosity, amazement and delight that has opened a whole new world for these students through the advances of technology and computers. Nelson Mandela once said, “Education is the most powerful weapon which you can use to change the world.” At Aid Africa’s Children, we believe that education provides the children the best chance to change their future and build a strong community. In Zambia, the school we built provides not only education to the children but has become the heart of the community. In Tanzania, a girls’ school not only educates but empowers young women with independence and career opportunities that otherwise would not exist. In South Africa, a computer lab is helping children to obtain skills that open a new future. On Kome Island, an abandoned school project was revived by Aid Africa’s Children helping with severe overcrowding. We are committed to helping children enter the future with hope and knowledge. Children can be heard singing at dawn and at dusk as they zigzag down a dirt path, buckets on top of their heads, carrying water for their families needs. On a small island in Lake Victoria off the coast of Mwanza, Tanzania, is Kome Island. The island is accessible only by ferry or small boat and has no electricity or running water. Bugoro Primary School, on the island, serves over 700 children, who are all taught by five teachers. 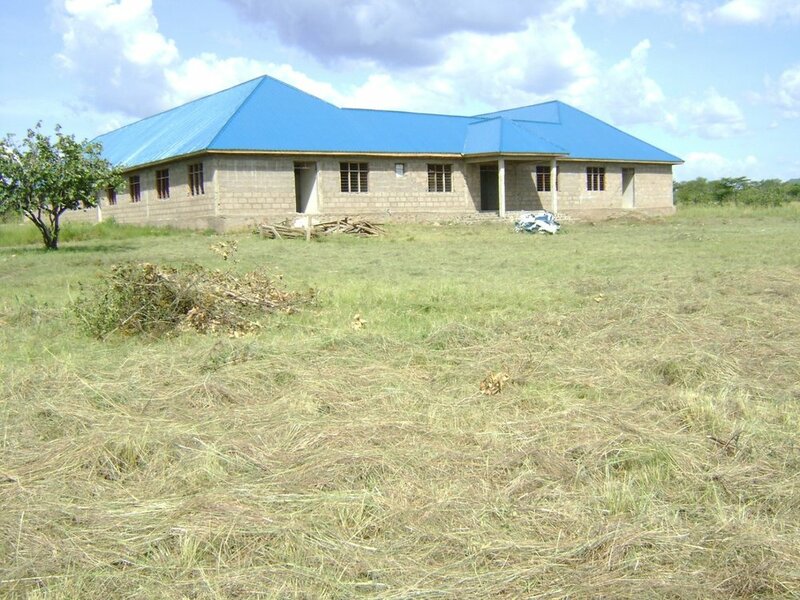 Two buildings, each containing two small classrooms, were built by the government at a time when money was available. Another structure housing one classroom was built by the local people from mud bricks are now disintegrating. In this building, crudely hand cut windows offer no protection from the downpours during the rainy season. A blackboard and rough, wooden desks give the only indication this building was school. Soccer is the most popular sport in Africa. Kids bundle plastic bags tightly with string because “real” soccer balls were rare. Imagine being a child in Africa and not being able to join the local soccer league because your school classes were taught under the trees and rocks. Without a “real school” students are not allowed to participate in the local soccer league. In the summer of 2009, Kamisombo School doors opened and promptly enrolled into the soccer league. Excitement and anticipation in Matushi grew rapidly as the game day approached! The students walked 8 miles just to play their competitors at Munyambala Elementary School. They arrived at night and slept on the classroom floor. To finally have their own soccer team was a celebration in itself. All those years of not being able to play in the soccer league because they didn’t have a school with four walls, a door, and a roof would end today. The Kitenga School for Girls allows young girls to aspire to the undreamed of future with the opportunities and self-sufficiency an education can offer. With an education, their future would no longer follow the tradition of their female predecessors. Girls faced early marriage with no say in the matter, bride bidding, expectations to produce many babies, sexual harassment, and female genital cutting. We were moved by the plight of these girls. We were determined to help improve their conditions. Education would open doors to career opportunities that never existed before. For many Africans the access to water, especially clean water is a challenge or sometimes nonexistent. Waterborne diseases are found in contaminated fresh water. Infection can occur while using unsafe water for drinking, eating, bathing, or preparing food. It is not uncommon for the average girl in Africa to walk 4-6 miles per day to get water. Aid Africa’s Children recognizes the lack of clean water access and has built 3 boreholes (waterwells) in Africa. In Nigeria, we worked with the medical staff at the Ohaji Medical Center to create clean water access for their medical facilities. On Kome Island, Tanzania we built a borehole for students at the Bugoro School. We were deeply touched by the plight of the children at St. Justine Centre of the Disabled in Makoko, Tanzania. Because of the strong winds and powerful waves of Lake Victoria, the 1/2 mile walk is dangerous for the children. Water is a great need because the children contaminate with dirt easily. Cleanliness is very important for these children. Water technicians confirmed there was plenty of water for drilling. Community access to their borehole is encouraged to reduce waterborne diseases. Their sustainability program includes charging locals a per pail fee to offset minor repairs and maintenance that the Congregation and well wishers would donate. Currently, Aid Africa’s Children is developing a clean water project for the Ntemba Village which involves a rainwater collection system with a large 5000 gallon storage container. Sometimes to help children best, you have to help the people who take care of them. By teaching and assisting these caretakers in entrepreneurial programs you can provide some of the basic needs for the children. It also builds a pride in the caretakers and the community. At Aid Africa’s Children, we try to provide the tools, education and means to build successful businesses that can help support themselves and their families. Our goal is to help create sustainable business and empower the people we help. When Aid Africa’s Children received an urgent call for funds to build a hippo fence, our first question was, “What IS a hippo fence?” For those of us who do not live in Africa, whose gardens are not ravaged by hungry nocturnal hippos rising out of the lakes or rivers, this was news to us. Our contact in Africa, Sister Battista runs the St. Jude Nursery for preschoolers in Malawi. 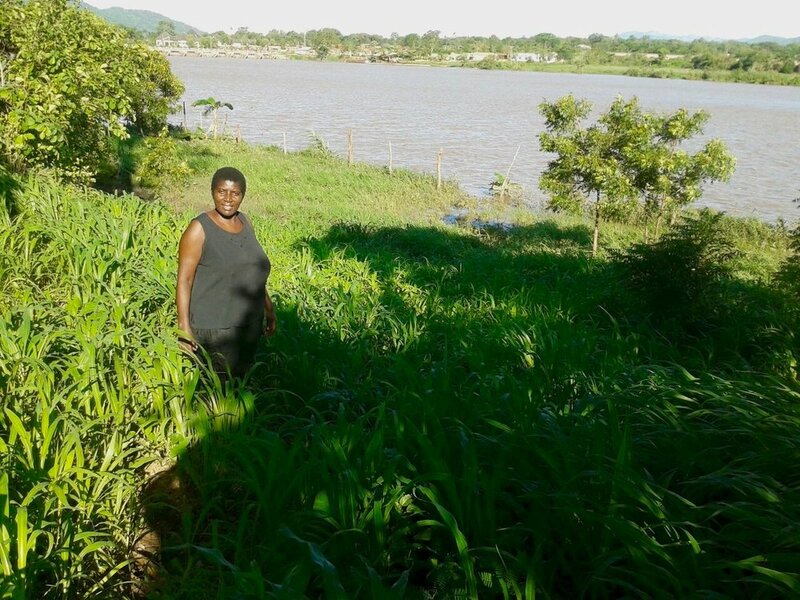 She explained, “we need a fence built to keep the hippos from eating our maize crops.” Aid Africa Children’s raised funds for their first hippo fence that cost approximately $3,500. This is not an ordinary yard fence. It has 4,421 feet of barb wire wrapped around 164 iron pipes that are cemented into ground. Hippo fences are commonly used to in Africa to protect crops. The St. Jude Nursery is a renovated chicken house used as a school for the neighborhood children. In this area, over 90% of the children do not attend school because they cannot afford school fees. Sister Battista started this school with 30 children without any educational materials or supplies. Enrollment varies between 30 and 120 students. Aid Africa’s Children has also sent St. Jude Nursery funds for school and food supplies. See how one hippo fence can make a difference in these children’s lives! Before the hippo fences, all their maize was eaten by the local hippos. The simple yet effective hippo fence seen along the river prevents the hippos from eating their food.